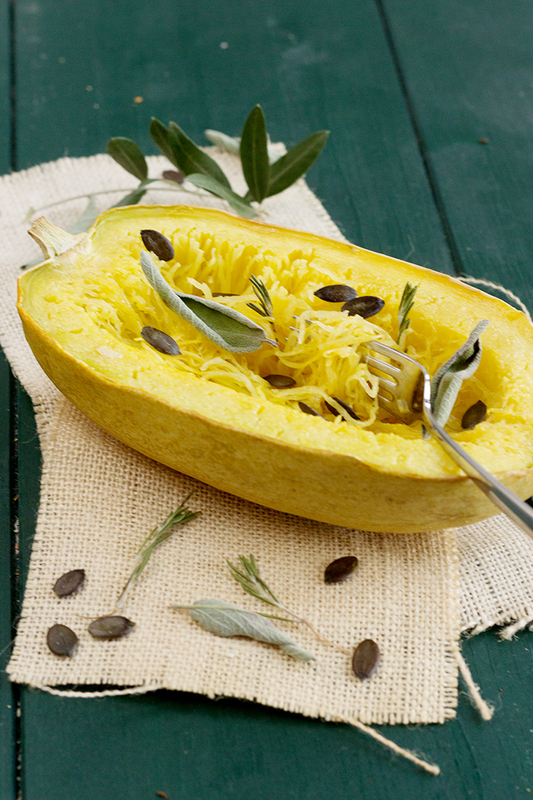 I had been dreaming about this spaghetti squash for a long time and wanted to try it. How to make delicious vegetables eat to little and older kids in a fun way. I was visiting iElena, a former colleague (and nowadays a good friend) who now has a huge garden and grow every kind of vegetables herself, including the squash you see today in the picture. Whenever I have the opportunity to eat at her place, that’s just fantastic. I do not know if you already know, but I have always been very difficult for food as a child and there are certain vegetables that my mother could never have made me eat. Well, Elena, she gets there, and every time. Must say that she doesn’t eat only carrots and potatoes. She made me appreciate not only the spaghetti squash, not so difficult I reckon, but fennel and chard as well, and there it was not a win situation. Now I cook it regularly, but when the vegetables come from her garden, of course it’s much better! Cut the squash in half. Remove the part with the seeds. Put them on a baking sheet, covered with parchment paper. Pour 2 tbsp. of olive oil and 2 tbsp. 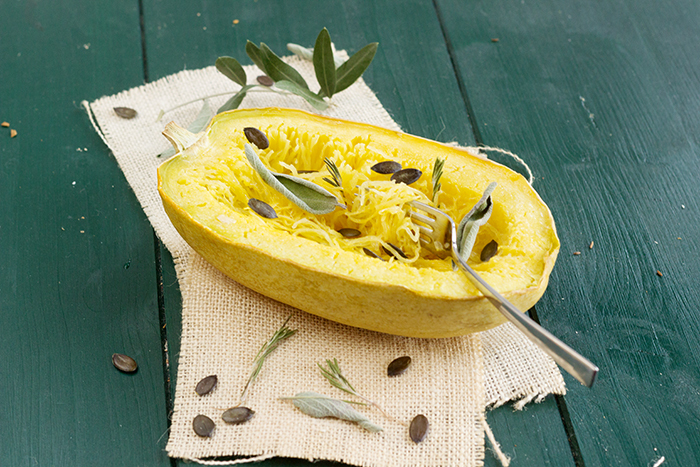 water in each squash, season with sage, rosemary, salt and pepper. And here with the help of a big spoon, remove the flesh of the squash and presto these are your spaghetti!